I spent a lot of my summer cleaning out my mother's house, as some of you know. With that came sadness, memories, good and bad, and many, many unexpected treasures, big and small. 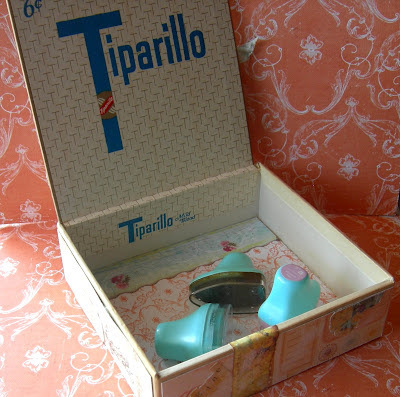 This little cigar box was rescued from the trash pile, knowing with the help of Prima, I would turn it into a pretty desk accessory. 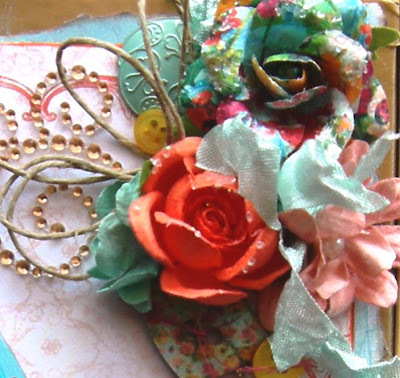 I covered the outside in bits and pieces of paper from the Prima Songbird and Zephyr collections. I inked most of the edges and dry brushed gesso randomly over the papers after gluing to the box. 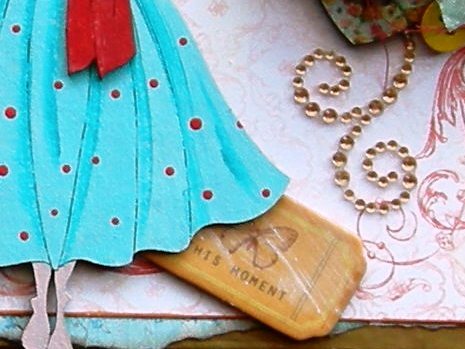 I then embellished the top with lots of flowers and goodies from Prima as well as painting one of my chipboard girls from Leaky Shed Studios. I lined the bottom with more Prima goodness but decided to keep the inside lid as is because there's something very charming about an old box's roots, isn't there? Very pretty, I just love Prima flowers! Gorgeous and such a treasure!!! 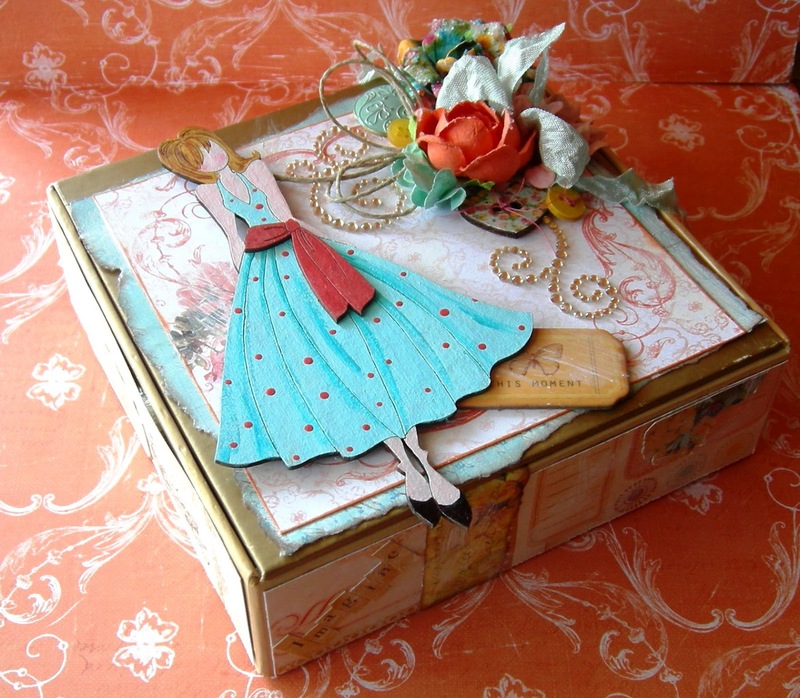 Rescuing old treasures and turning it into a fabulous box to hold treasures! Perfect for paper doll dresses too, don'y you think?